This is a Cactus Dahlia mix. Native to Mexico and Central America, Dahlias are tuberous rooted perennials in the Aster family. A popular variety with florists and flower arrangers which gives good quantities of large double and semi-double flowers with distinctive spiky petals. They grow to a height of 60 inches, 1.5 meter and spread over 40 inches, 1 meter. Flowers from less than 4 inches to more than 10 inches across. 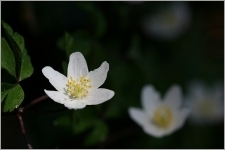 Petals are pointed and tubular. 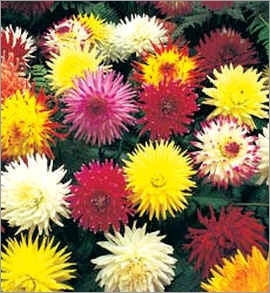 These bold flowered Dahlias produce large, spiky cactus blooms in a range of attractive colours. It flowers from July to September. Remove deadheads to prolong flowering season.